University of Toronto professor Farid Najm talks about what works best in power management. Power scheduling, power integrity targets, voltage drop—these are just a few of the power-related challenges you’re no doubt managing in your SoC designs. There aren’t any easy answers, but there are some emerging—and promising—techniques. Two such techniques, according to University of Toronto Professor Farid Najm, are constraints generation and constraints-based verification. 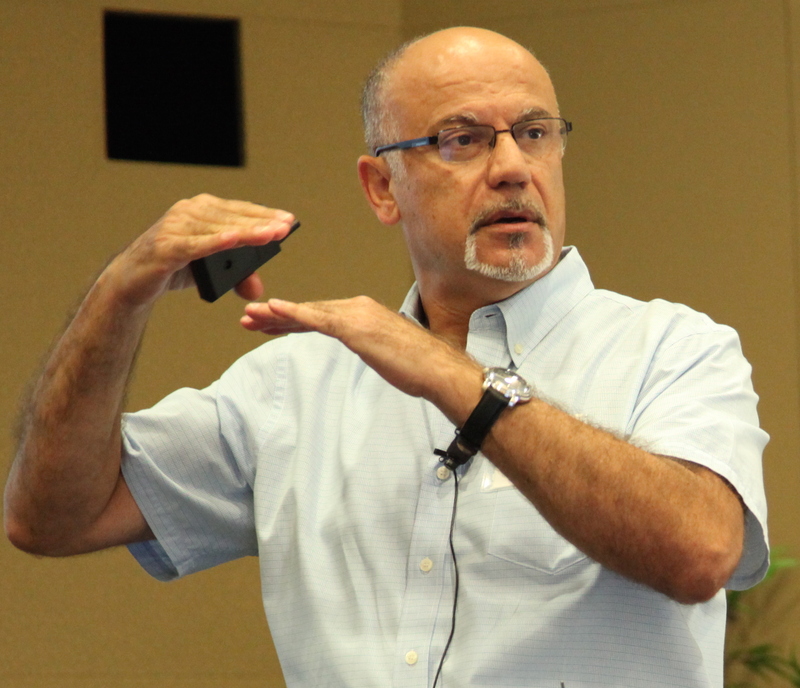 “Power is a first-order concern, like timing,” said Najm, during a recent discussion about power-management techniques during a talk at Cadence’s San Jose headquarters. Najm, who chairs the university’s Department of Electrical and Computer Engineering, said constraints generation involves the generation of power constraints given voltage-drop bounds. Constraints-based verification, he explained, involves verification of the voltage drop given power constraints. What’s Causing Power Grid Overdesign? Najm’s current research is focused on power grid verification and optimization, and on managing the impact of process and environmental variations. He began his talk by sharing some background information on the current power landscape and discussing some common challenges. Today, he said, the power grid topology covers all levels of the metal stack, with some 500 million logic cells and their current sources. In a given chip, many blocks will have their own separate, gated power supply, occupying a certain number of metal layers and connected at the top by the global grid. In every layer, the grid is mostly a regular mesh. In this environment, explained Najm, keeping the power supply regulated is essential to meeting design challenges related to power integrity. And these challenges, noted Najm, are many. Given the hundreds of millions of cells on die and clocks that run at GHz rates, total power is very high. A loss of power integrity has a negative impact on chip performance. Bottom-layer voltage variations affect circuit timing. Voltage overshoot can impact I/O signal noise. Electromigration can be damaging throughout the SoC. What’s a design engineer to do? Some engineers are relying on simulation for specific scenarios, while others are using tools and techniques for vectorless verification. However, Najm noted, these options offer limited coverage and optimistic results because both are simulation based. To address the problems, researchers like Najm are turning to constraints-based verification and constraints generation. Constraints-based verification is based on user-provided current constraints and allows vectorless and early high-level power-grid verification. The approach can be used to find worst-case voltage variations for certain grid nodes and worst-case current variations in every grid branch. • Provide constraints for power scheduling. Power scheduling, in fact, presents a potential killer app for constraints generation. The methodology could, for example, lead to a way for a chip’s power controller to check whether a candidate combination of blocks is safe to turn on, or if it this would violate grid voltage targets. Christine Young is a senior writer and blogger at Cadence.